Springs Beauty are proud to unveil a brand new website and online booking system! The popular beauty salon is celebrating it's 10th year anniversary in style with the launch of a new look salon and a brand new website. Clients will be able to book appointments online via the website and our Facebook site - allowing 24 / 7 access to Springs Beauty. 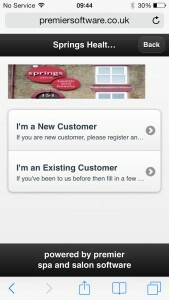 Existing Users log on or new users enter details. Simply register once and then log on any time of the day or night and choose your treatment, your preferred time and date and even preferred therapist. The incredible booking system will suggest alternatives if your preferred choice is not available and even alert you to sudden availability in case of any cancellations. It is super clever and super easy to use. 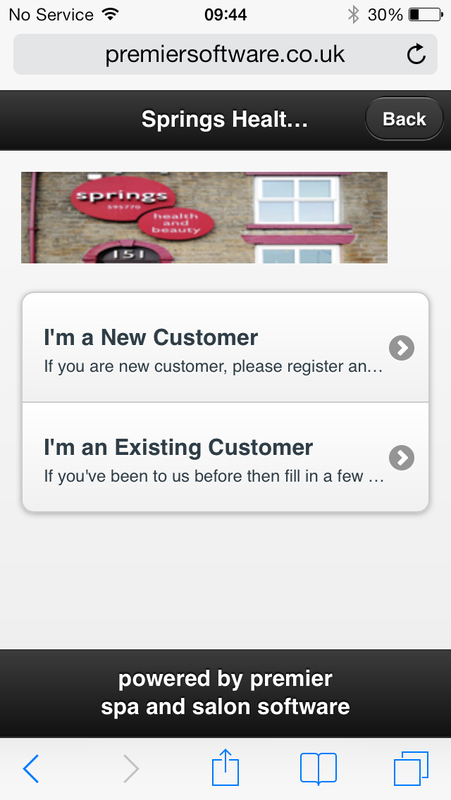 The online booking system can be accessed via the website or can be added to your smartphone or tablet as a stand alone app - ensuring Springs Beauty is always available. Our new look website provides details of the treatments available at Springs Beauty and information about our product partners. Springs partners Caci, Decleor, Dermaroller, DermaQuest, Fake Bake, Guinot, LA LA Lashes, LVL Lashes, Jessica Nails and Jan Marini. The website includes information about each of our suppliers, videos, imagery and information which will hel p you to choose the right type of treatment. We will endeavour to update the website regularly with the latest news and offers from Springs as well as information from our partners on new techniques and products. Springs Beauty is on Facebook and will be posting offers, exclusive discounts and details of events and now you can also BOOK via Facebook! 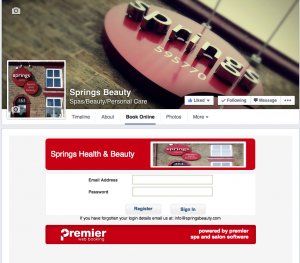 Make sure you Like our page by clicking this link or logging onto: www.facebook.com/SpringsHealthAndBeauty. Springs Beauty is also on Twitter at: https://twitter.com/SpringsHarwood and on Google+ at: https://plus.google.com/+Springsbeauty. We hope you like the website and believe it will enhance your Springs Beauty experience and the online booking system.